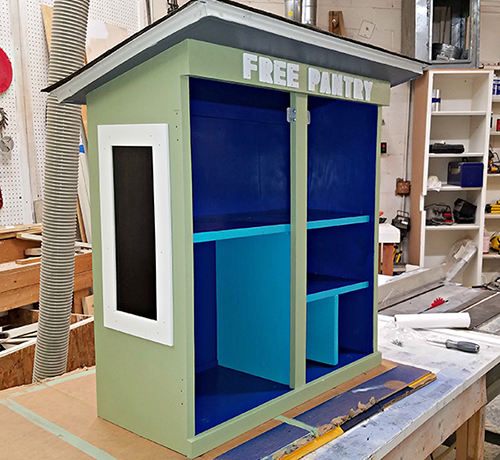 This is a second life for this Little Free Pantry. The pantry was originally created and installed by Lindsey Hoehn at A Yarn Crossing on Frankfort Avenue. 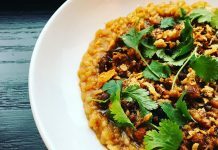 When the bricks-and-mortar store closed recently, she donated the Pantry to Louisville Grows and volunteers refurbished it for the Portland neighborhood’s use. The public is invited to attend the dedication ceremony and be part of the group photograph marking the grand re-opening of this Pantry. Facebook event information can be found here.